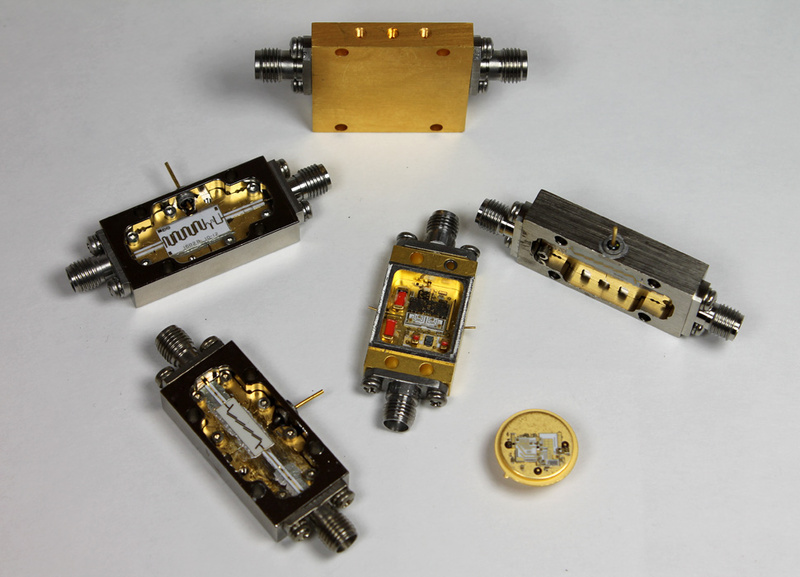 RFE has developed custom Microwave Assemblies from 100 MHz to 30 GHz over the years. These modules typically incorporate passive and active RF structures, digital control circuitry and are designed to be compatible with larger system assemblies. Whether you need prototype or production quantities, take advantage of the benefits offered by RFE design experience and manufacturing expertise for your next system solution. Our extensive line of Hybrid VCO’s featuring low noise and broad bandwidths, coupled to active / passive frequency dividers and doublers solve size and component limitations. Can be assembled as discrete devices with multiple outputs or integrated onto a drop in carrier. Filtering can be added to improve spectral purity. 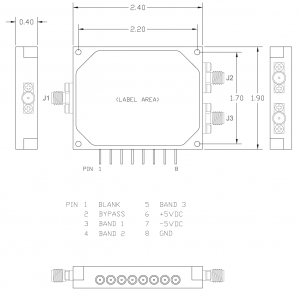 Accept input signals between 1 – 2 GHz and provide outputs up to Millimeter wave. Integrated filtering and output buffering condition signals for low spurious and high power. Thin film coupled line layouts yield extremely small (down to 0.40″) solutions covering from 8 to 30 GHz, with input and output buffering. Lowest Phase Noise, -134 dBc/Hz @ 10 KHz offset, -131 dBc/Hz @ 100 KHz for a 2 GHz output, or multiply up to 30 GHz and maintain 20logN+3 dB degradation. In packages that measure down to 1.5″ x 1.0″ x 0.5″. Completely integrated Local Oscillator / Synthesizer, discrete or MMIC Mixer, Bandpass Filter and Low Noise Amplifier achieve low noise figures and spurious response with optimized gain and high isolation. User specified IF range. Single or Multi Pole, with up to 16 Channels utilize beam lead PIN Diodes to keep parasitic capacitance and insertion loss low. Constructed on either alumina substrates or high frequency circuit card laminates.